Vigno is the soul of Gillmore, 100% Carignan from 50 year-old estate vines. In the glass it has a deep red cherry colour. On the nose it has very intense red fruit aromas and complex notes of earth, bay leaf and mint tones. Firm tannins and a juicy acidity give the wine a special personality. Carignan is a medium-bodied red wine that grows mostly in Southern France where it’s a major blending grape in Languedoc-Roussillon. Besides France, Carignan is found in Northern Spain where it’s commonly called Cariñena or Mazuelo and it also grows in Sardinia (Italy) where it’s labeled as Carignano del Sulcis. For the longest time, Carignan was considered a low-quality wine grape due to its propensity to high yields, however many producers are reinvigorating old vineyards, reducing yield and making tremendously rich, red fruit-driven wines that will blow your mind. The 2012 Vigno Carignan is pure Carignan from Loncomilla fermented in open stainless steel vats and aged for 18 months in barriques and oak foudres. This has the unmistakable nose of Gillmore: all flowers and aromatic herbs, hints of mint, even a touch of eucalyptus that is easy to recognize in a blind tasting. The palate shows some grainy, slightly dusty tannins that call for food, which paired with the high acidity (pH 3.28) makes it somehow austere and serious -- a bit of a contrast with the explosive nose. This has the stuffing and acidity to develop a long time in bottle. 10,000 bottles were filled in January 2014. 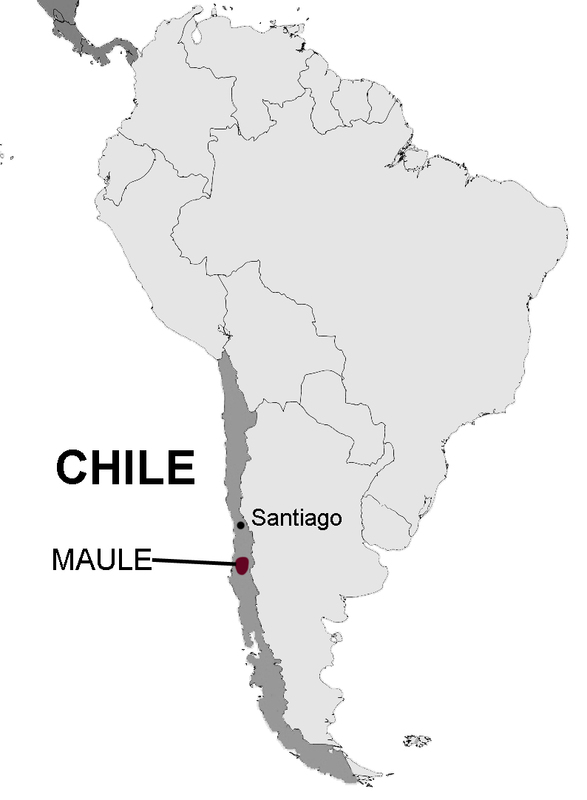 VIGNO, an association whose objective, in the words of Andrés Sánchez, winemaker of Gillmore as well as co-founder of VIGNO and MOVI, is to “show the world the invaluable enological patrimony of the region [Valle del Maule].” Like an AOC (appellation d’origine controlee) in France or DOC (Denominación de Origen) in Spain, all wines under the VIGNO label have regulatory requirements. These requirements include that at least 65 percent of the wine in any bottling needs to be made from old vine carignan (30 years or older) and that all vineyards must be dry farmed and located in the Maule region. The wines are tremendously refined with compelling fruit and distinction; they have the stature to be put side by side with wines from renowned carignan-producing regions such as Sardinia, Spain or the Languedoc. Fermented in stainless steel tanks using traditional techniques that include 3 pump-overs per day. Aged 18 months in French oak barrels.